You must make reservations at least 5 minutes in advance of the time at Frank Fat's. There is a private parking lot with a garage attendent, available next door at 812 L Street. Please e-mail us at ffbanquets@fatsrestaurants.com or call 916-442-7092 for details. Frank Fat's Restaurant located one block away from the State Capitol at 806 L street in Downtown Sacramento, has proudly served the Sacramento Community since 1939. Frank Fat's takes pride in continuing to serve the finest Chinese cuisine from the four provinces of China (Peking, Szechuan, Canton, Shanghai) and Hong Kong in a superbly decorated surrounding with warm, friendly and cheerful service. (entree size) poached chicken breast with pickled cucumber, almonds, tomatoes, wonton crisps, and a house-made sesame soy vinaigrette. 16-ounce NY steak smothered in sauteed onions and oyster sauce. A Frank Fat specialty. We eat here whenever we can. Food is very fresh, delicious and plentiful. My brother joined us for dinner this night. He is a very picky eater and he absolutely loved it. 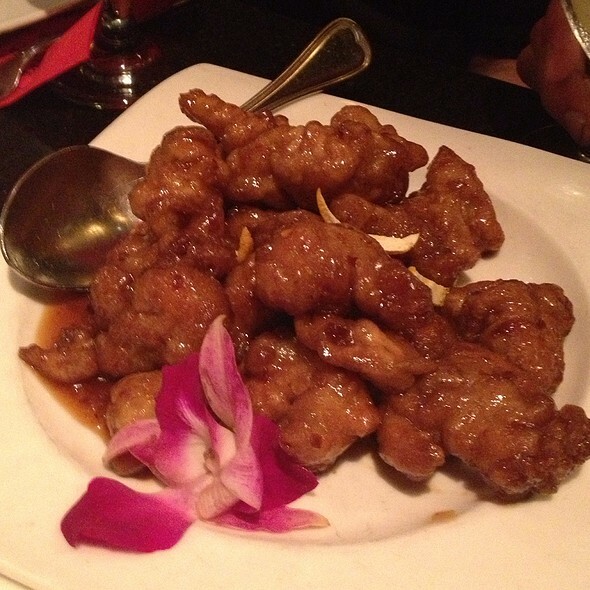 We especially love the orange chicken and honey walnut prawns. Our service was beyond excellent. She was friendly, outgoing, helpful and entertaining. She was just a gem! This was a laudatory experience. Service was friendly and attentive. Food was creative and delicious. Can't remember when I last had such an A+ eating experience. Food was very average and for the price not a good value....very pricey for what you got. I always think it excessive, when at a chinese food restaurant you are charged extra for plain steamed rice. That is pretty stock standard with most authentic chinese meals. Also, the dishes we had, while common chinese food plates, came with no sauce or cut up vegetables....just very, very sparse. The best thing about the place is the ambience but heck, you want the food experience to be good too, right? We will not be back. It was a nice experience. Two issues I had: the potstickers were undercooked and the wine by the glass was awful. My margarita was perfect (although strange for a Chinese restaurant ), the Peking Duck was great, the fried rice was pretty good and the banana cream pie was good. Maybe it’s time for an updated interior? The 80’s mirrored designs are unnerving. The restaurant is long and the transition of rooms was an interesting journey to our table and it felt exotic. It was certainly an experience and I would recommend this restaurant to my friends. It was my first time visiting Frank Fat's and it was very nice. Our server Nina went out of her way to give us great service. Close to Golden 1 Center for a great preconcert dinner. This was my first time to Frank Fat's. I chose to take my wife on a date to Frank Fat's because it was a sunny Sunday and Thrillist hyped it up. For those in the know, King Tsin recently closed in Lodi and we are not partial to Dave Wong's in Stockton. So, we made the trek to Sacramento to try out Frank Fat's. It lived up to the hype and was situated in a great area. My wife who is 38 weeks pregnant enjoyed the food and the afternoon stroll thereafter around the capital. Do yourself a favor and try this place out and then just go on a walk before the food coma hits you hard. We always have great meals and service here. We don’t often eat out, but when we do, Fats is one of our favorites. 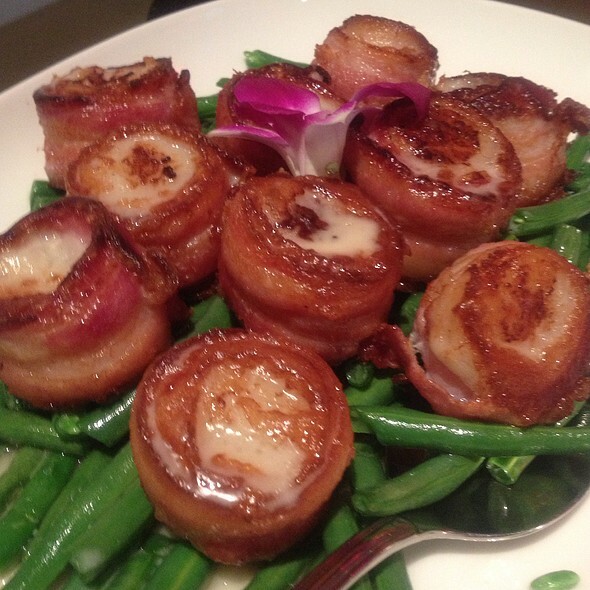 The staff always make excellent recommendations and I don’t think I have ever been disappointed by a dish. Our favorites are the duck and the steak. We usually order a sampler platter and the Buddha’s delight vegetable dish. However, tonight we ordered a noodle vegetable platter and it was very good. A classic that does not disappoint. Food is always top quality with unique selections that appeal to a wide range of diners. Outstanding food quality. The Hong Kong chowmein was delicious as was the Immigrant Beef. Good Mai Tai as well. Very happy with our date night! This was actually my first visit to Frank Fats, though I've lived in Sacramento all of my adult life. I thought I'd had Chinese food before, but I was wrong! The food was SO GOOD I'm not sure I'll ever eat anywhere else. Great food with a large variety of foods and preparation. Great flavor for an affordable price. As always, Frank Fat's never fails to satisfy. 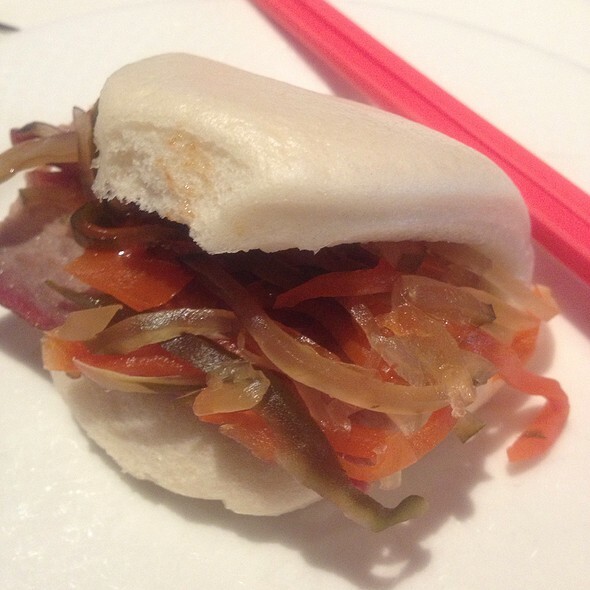 Consistently great food, very friendly and attentive staff, and very comfortable ambience. I have been coming here for years and will continue to do so. Could use a remodel/update in decor. Classic Sacramento... history, mixed with good food and a great Bar menu! I went to Frank Fats because of it's iconic standing, but was seriously disappointed in the quality of the cuisine. The ambiance was lacking as well; the interior felt cheap and plastic. The lighting was terrible. I can honestly say that Frank Fats only shined in it's service. Frank Fat’s is always a good bet. Our waitress Nina was knowledgeable and helpful. She was attentive without hovering. My husband has celiac and must be gluten-free. Fat’s is always accommodating and able to alter most dishes. It’s proximity to Golden One Arena makes it a perfect pre-show spot. The valet garage next to Fat’s stays open an hour past any event making the experience even better! Fabulous service, great food, reliable restaurant. Quality every time!!! Food was very good.. Whole experience was great!!! Service friendly. Food was good although I wasn’t pleased with my choice of the chicken, noodle wonton soup. I didn’t think it was very flavorful at all. But everyone else was happy. This wasn’t my first visit & I will come again. This was my first visit to Frank Fat's (I'm fairly new to Sacramento), though I'd heard excellent things about it from long-time residents. It lived up to my high expectations. The food was excellent and the service was very attentive. Our party of three was there to celebrate my daughter's birthday, and it made for a very special occasion. I would never have thought that Banana Cream Pie would be the specialty at a Chinese restaurant, but it was the best I'd ever had! And the Chocolate Cream Pie was terrific, too! Consistently delicious. Go here often. Probably the best Chinese restaurant in Northern California. The food and service here are great. I would definitely go back. I always enjoy eating at Frank Fat's. The food is always on point. However, the place is extremely loud and it makes it difficult to have conversations if you're not seated in a booth towards the back of the restaurant. Other than that, it's wonderful. 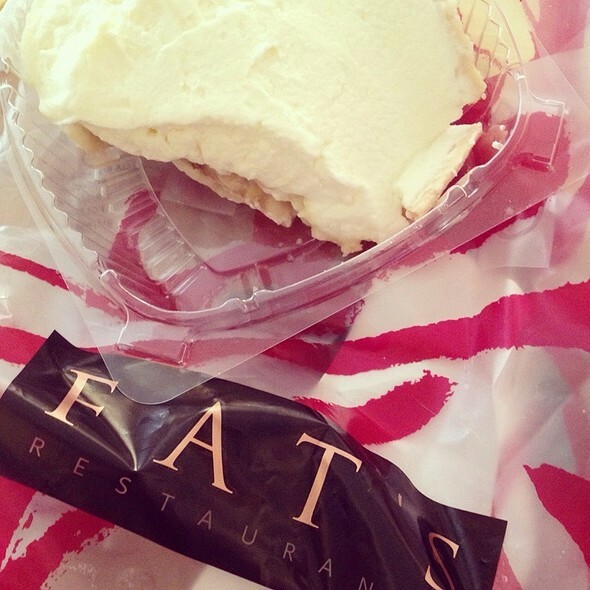 Fat's has become our go to restaurant to share with family. We consider you old school in the nicest way, since we, at 73 and 83, are old school too. Nice to have a family style dinner with elegant surroundings and exceptionally fine food with great ingredients. Your attention to all the details is what makes the experience special. I’ve been here several time but wanted to bring others to try it. Everyone in our party thought it was outstanding in every way. Definitely rates as a top go to spot in town! A little loud but the food was great as always. Great meal, little slow, little noisy, beautiful ambiance. Food was delicious. Especially the vegetarian egg rolls! Typically I enjoy your restaurant but my last visit, although good, did not seem up to your very high standards. The fried chicken which I usually love was on the dry side rather than the moist crisp chicken I recall. We waited half an hour for our food (2 dishes) to arrive which seemed like quite a long time. I will be back again but I hope the experience will be singularly positive. 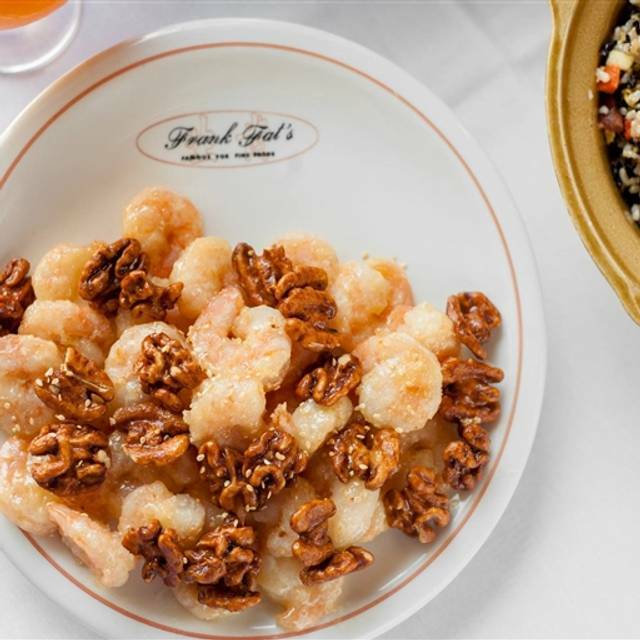 Frank Fat's is an "old" Sacramento standard and it just keeps getting better! The food is consistently outstanding - diverse and interesting, flavors clear and direct, ingredients fresh and tasty and a GREAT value! We had a combination of the "special" - five courses plus "noodles" (chow mein) for one kid and a broccoli beef for the other kid. Everything was fabulous: delivered quickly and HOT and abundant. We come for special occasions and will make it a special occasion more often! Thanks so much. First time here after 40+ years in the area. And it is as great as I have heard. It was a busy evening, quite full in all the dining areas, and yet the service was prompt and mostly delightful. The hot and sour soup was rich and complex and full of shrimp and tofu and seaweed. The house special noodles,Sang Gai Shee Cow Mein, were tender yet just perfectly chewy and full of black mushrooms and snow peas. 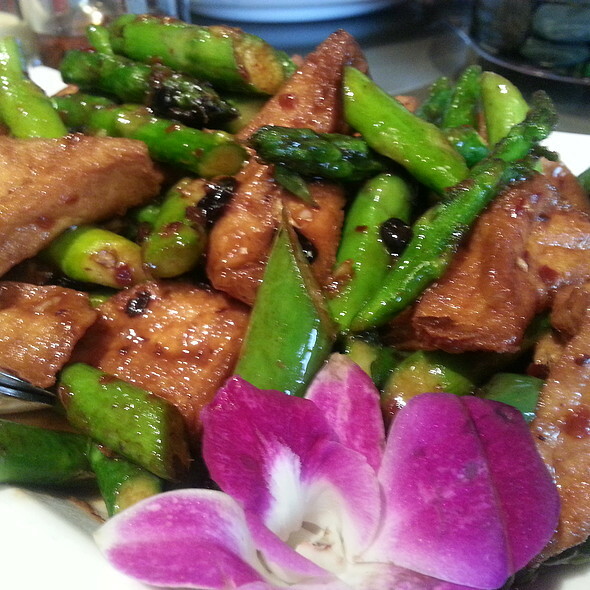 All the vegetables in our dishes were crispy tender. And the green beans were just superb. We did save room for the famous banana cream pit, and it is worth all it's fame. We did have one server who was very rushed to remove our serving and dining plates, before we had finished serving and eating. It was so odd, and uncharacteristic of everyone else who was extremely gracious. Recommend for the food and a truly "Sacramento experience". Frank's is a WONDERFUL place. Great food and atmosphere. Perfect for a special occasion or after an event at Golden One Center (4 blocks away).